We are famous manufacturer of Continuous Passive Motion. These products work without any noise and have a flexion angle of 0 degree to 120 degree. These products have an approximate speed of 1.5 minutes of one stroke and can be adjusted as per our requirements. This product should be used with an actual time from 5 minutes to 30 minutes. These are available at economical prices. We are leading manufacturers of Continuous Passive Motion Unit. A technique for maintaining or increasing the amount of movement in a joint, using a mechanical device that applies forces to produce joint motion without normal function. Usually, the knee is moved constantly through a variable range of motion to prevent stiffness and to increase the range of motion. Motorized CPM speciallly designed also to relieve pain after surgery or injury to major joints of upper and lower extremities. We are the prominent manufacturers, Exporters, and Suppliers of Continuous Passive Motion Unit to our esteemed clients. 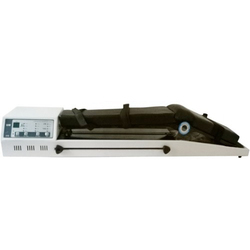 Continuous passive motion unit is fabricated using the superior quality material. 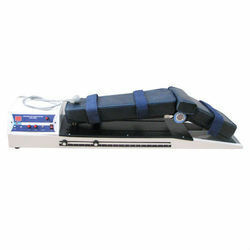 Clients can avail this continuous passive motion unit at an affordable price in the market. We offer these in various specifications and can be properly customized as per the specifications provided by the clients. Looking for Continuous Passive Motion ?